A few weeks ago I went to an amazing cooking class given by Marni Wasserman, a holistic nutritionist. I have been following Marni’s blog for a while, and have learned so much about healthy eating from her. The class was informative, interactive, and a lot of fun. I liked it so much, that I have signed up for another one of her classes in December – Indian cooking. Can’t wait! The protein present in hemp is complete -containing all 10 essential amino acids which makes it ideal for vegetarians, vegans or anyone seeking an alternative source of protein. Hemp also contains balanced healthy fats – both omega 3 and omega 6 fatty acids. This makes hemp an excellent natural anti-inflammatory as well as providing the body with healthy oils for skin, hair and nails. If this isn’t enough already… hemp is also easy to digest (because it contains it’s own natural enzymes), contains a high levels of vitamins and minerals, antioxidants, fibre and chlorophyll. 1. Preheat oven to 350 degrees. 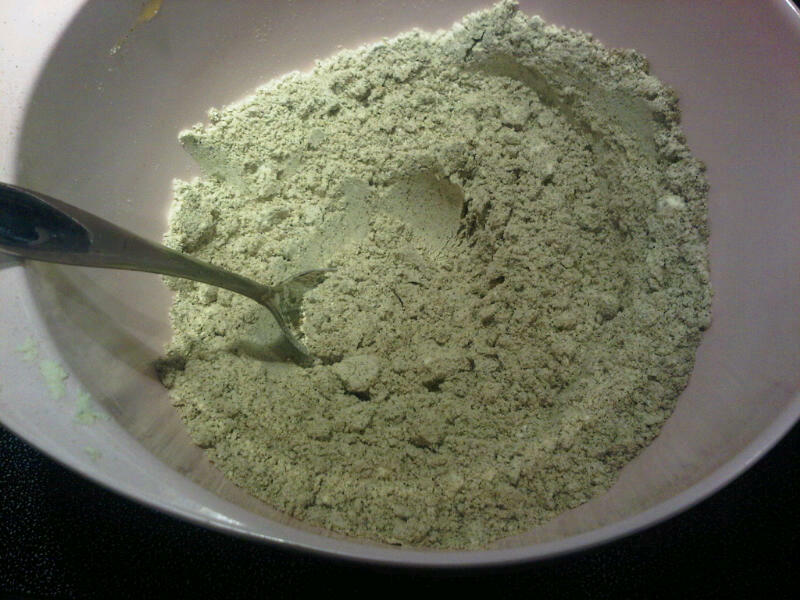 Mix together the hemp flour, Bob’s Red Mill all purpose gluten free flour (or brown rice flour) and coconut flour. Mix in baking soda, baking powder and cinammon. 2. 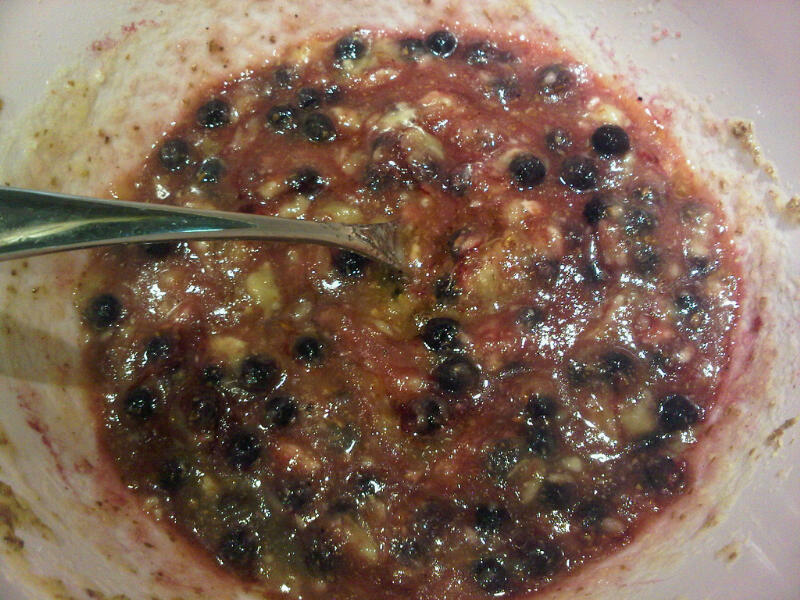 In a separate bowl, mix together flax and water (or egg), vanilla, apple sauce, mashed banana, maple syrup, oil and blueberries. 3. Add dry ingredients to wet ingredients and mix until blended. 4. Put into prepared muffin tins (greased, or lined with muffin cups). 5. Bake for 15-20 mins. The muffin tops should just be just turning brown. 6. Cook on a wire rack. ENJOY! 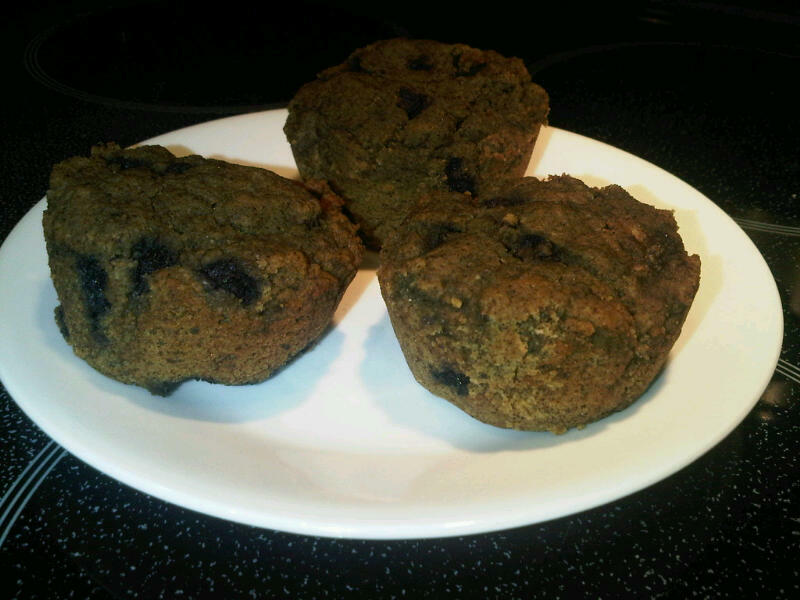 This muffin is full of protein and healthy fats and will provide you with lots of energy to make it through a busy day. You won’t crash and burn with these, like you would with most traditional muffins containing white flour, white sugar and unhealthy fats! This is a muffin you can feel good about eating. Categories: Cooking, Food, Gluten free, NaBloPoMo, Vegan | Tags: Blueberries, Cooking, Gluten free, Hemp, NaBloPoMo, vegan | Permalink.